Syracuse Metal Roofing is the leading metal and steel roofing contractor in Syracuse and throughout Central New York state. With more than 20 years of experience, and possessing the required licenses, insurance and special skillset to install metal roofs, Syracuse Metal Roofing provides proven workmanship that is affordable. 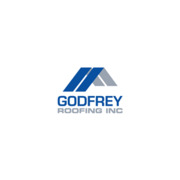 We provide installation of metal roofs for homes, commercial businesses, agricultural buildings, and more. We install roofs on new construction residences and replace conventional roofs that are leaking, cracking, blowing off, and no longer functioning as you need it.